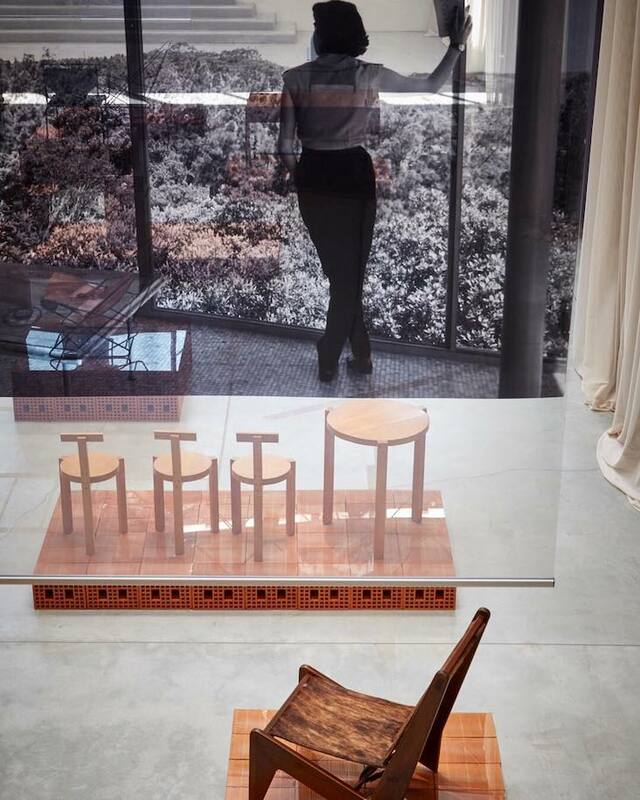 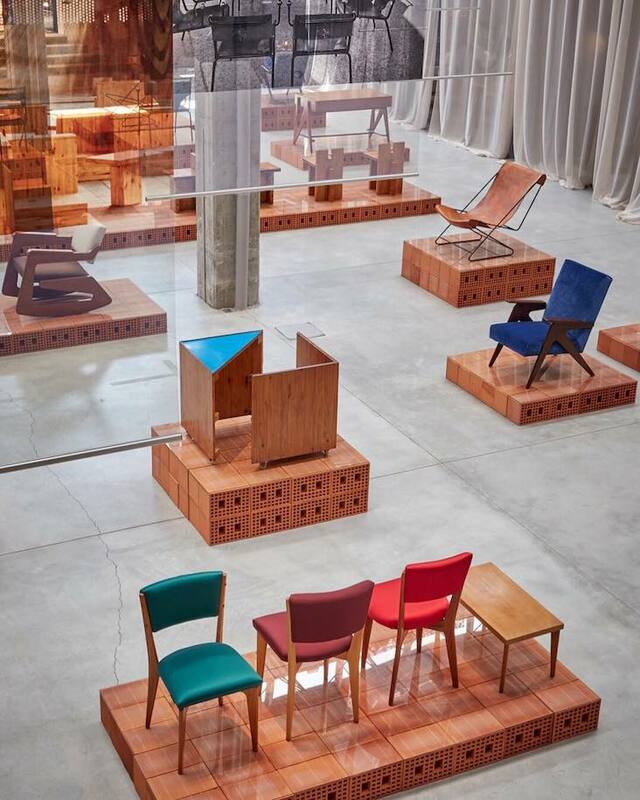 I love everything with this exhibition 'Lina Bo Bardi Giancarlo Palanti - Studio d’Arte Palma 1958-951' that was on show at Nilufar Depot during the Milano Design Week that took place last week. 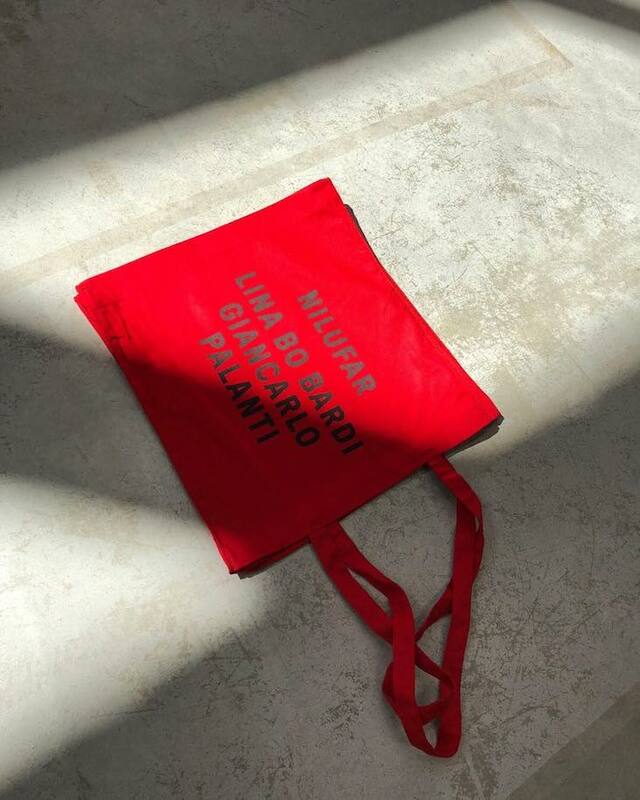 The set with the brick pedestals are spot on for the objects on display, and the branding with the red textile bag is perfection. 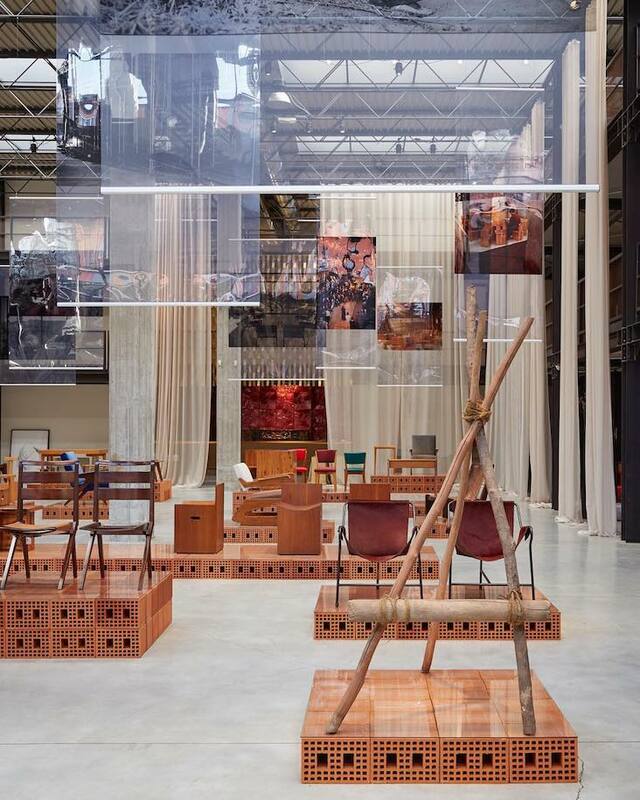 And, it doesn't hurt that Lina Bo Bardi is one of my absolute favorite designers that I go to a lot for inspiration, and as always the gallery of Nina Yashar is the one that have the best exhibitions during the Salone.